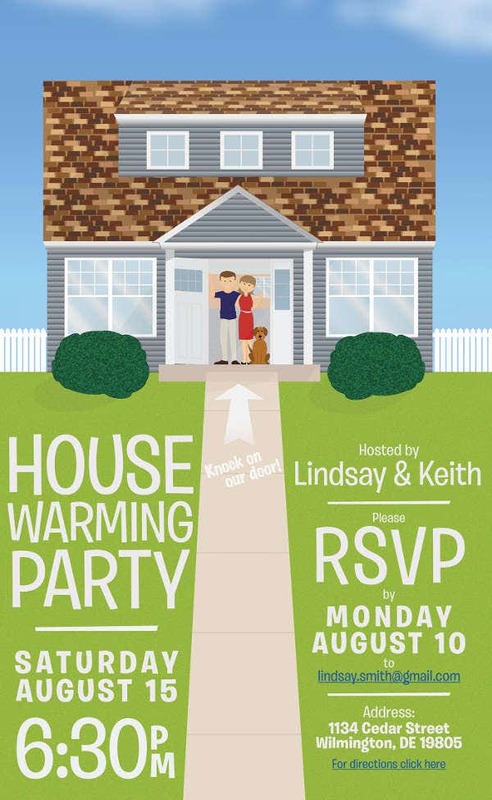 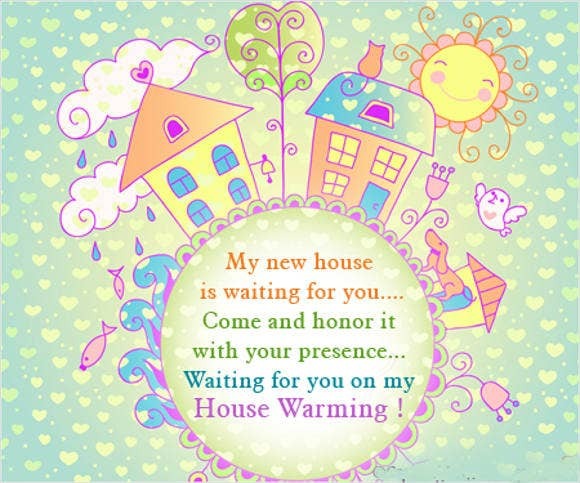 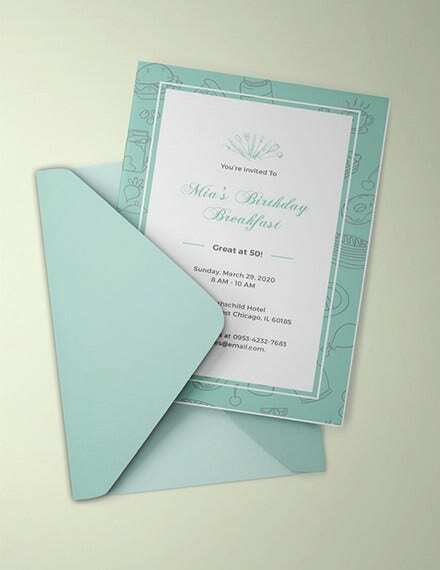 Invitation Cards are the documents that are sent out either by the host or the organizer of a party. 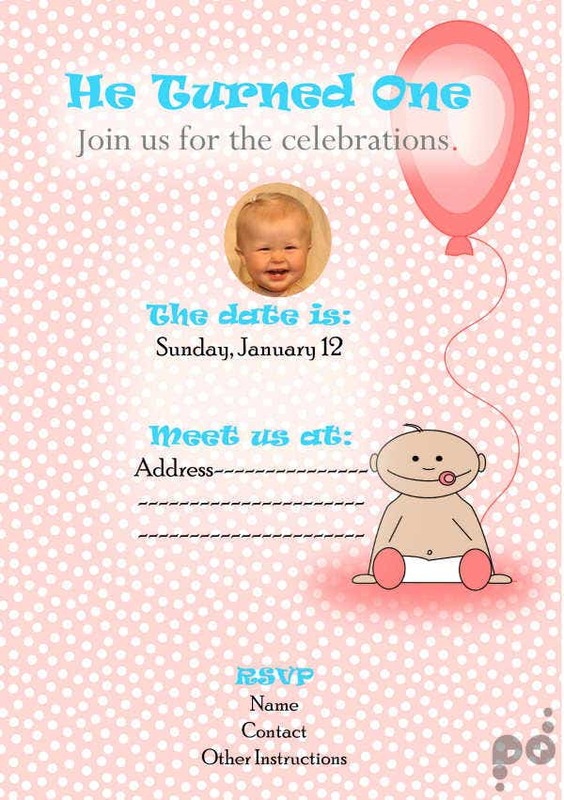 There are a lot of celebrations where an invitation card may be used. 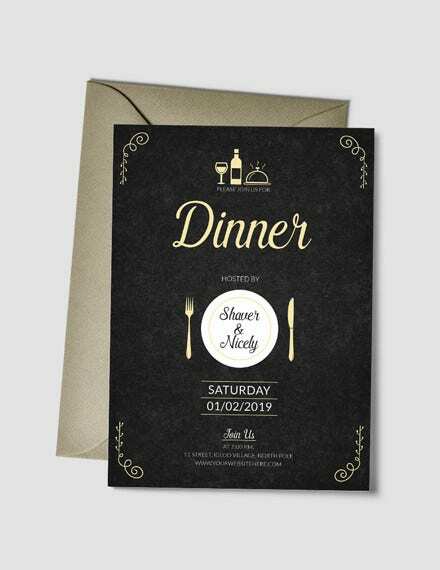 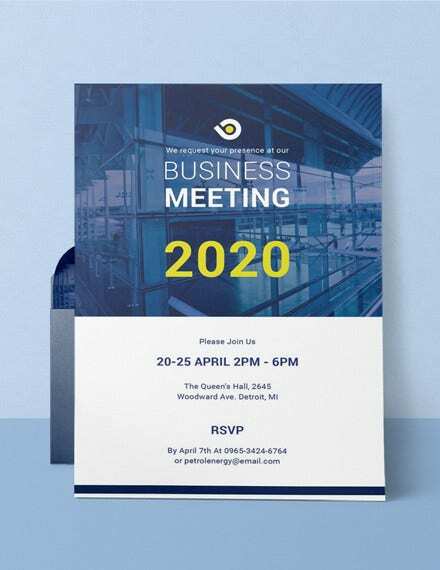 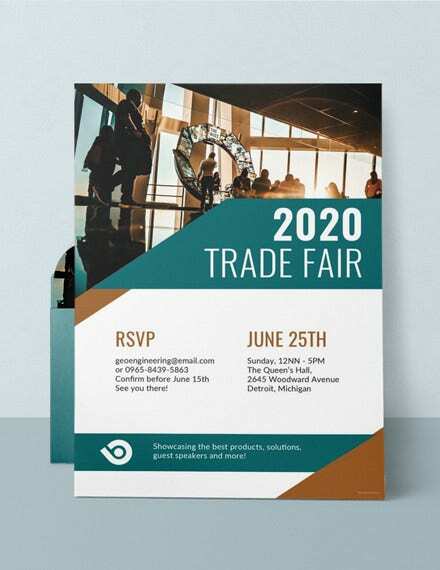 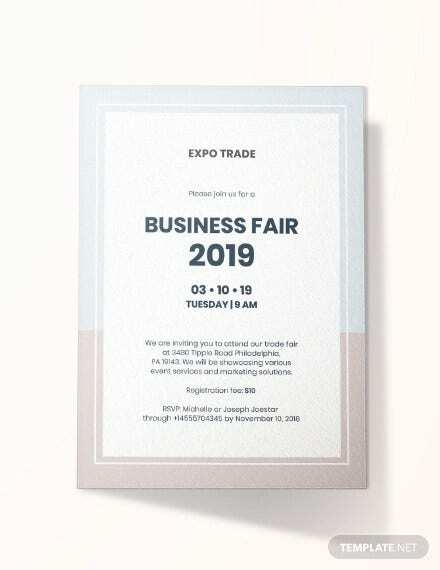 The design and content of each sample invitation card may vary depending on the cause of the celebration and the details that are involved in the program execution of the event where the invitation card is made for. 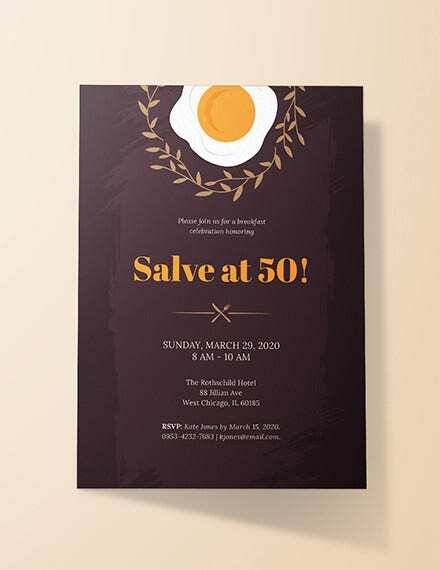 An invitation card may be used for a business or corporate celebration-related event. 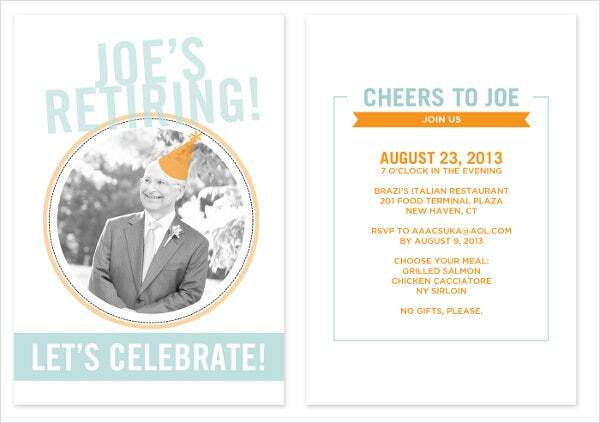 Also, it can be given out to celebrate milestones and other achievements may it be of an individual or a group. 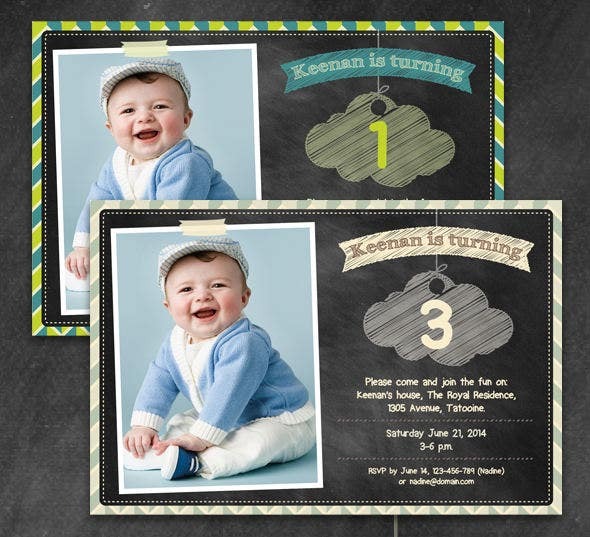 It can be a first birthday invitation card or a baby birthday invitation card that is used to provide details regarding the celebration of the early life stages of a baby. 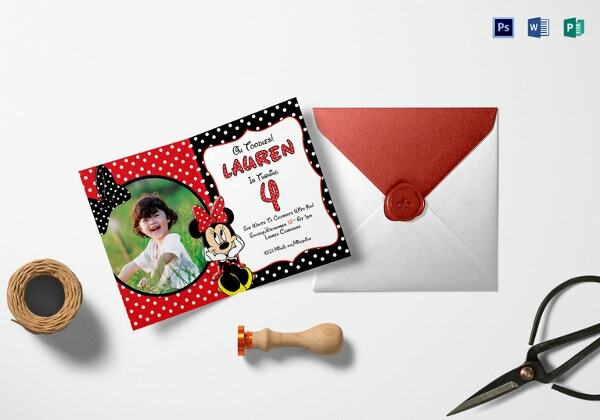 These birthday cards are usually simple in design and only consists materials that relate to either the baby’s gender or the characteristics of children at this age. 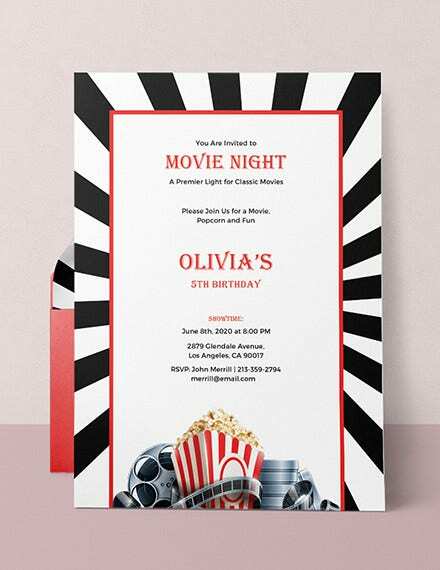 Animated birthday invitation cards are usually created for toddlers and preteens who have adoration to a character or any fictional items. 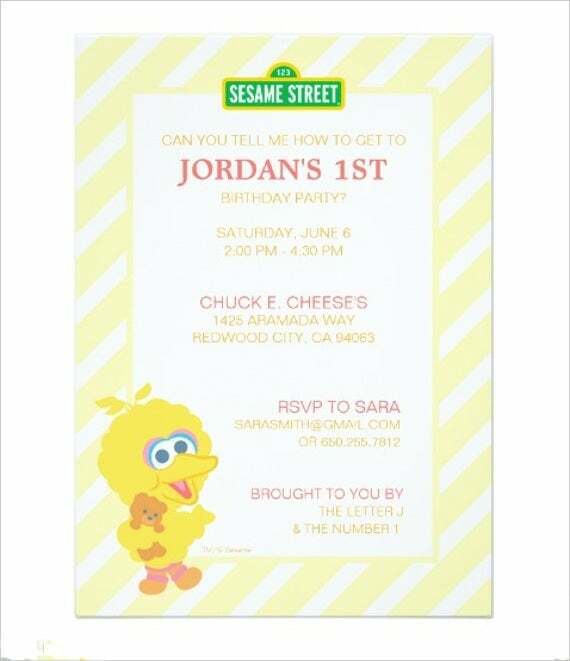 These characters and the story where they are based from are usually included in the theme of the birthday party. 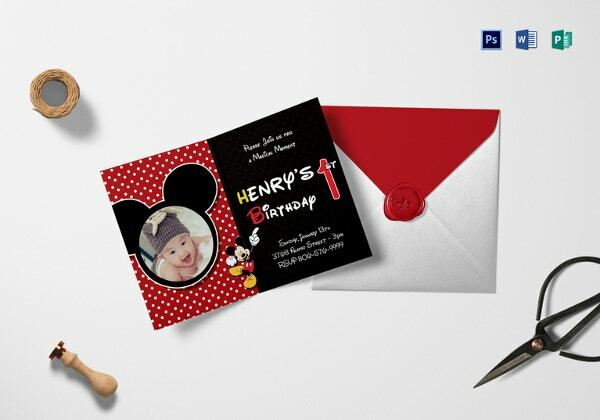 A few of the famous characters used as design items for an animated birthday invitation card are the lead characters of Frozen, Hello Kitty, and Mickey Mouse. 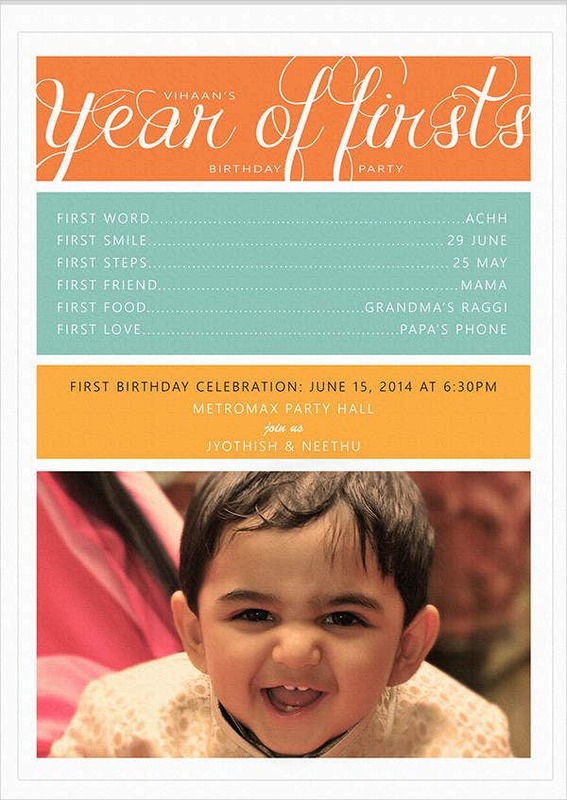 Birthday Milestones Invitation Cards are used to celebrate particular years in a person’s life. 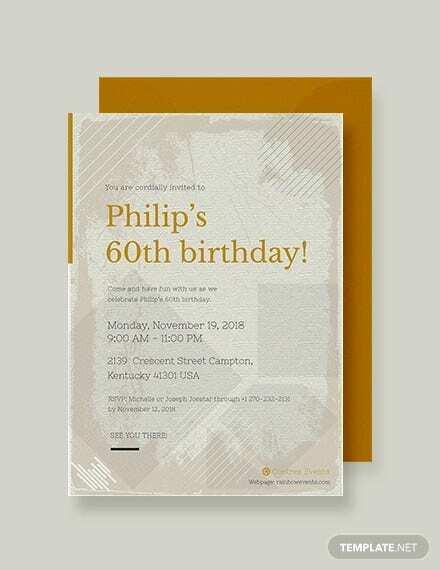 Usually, it is the 50th and the 75th birthday of a person that are being given the most importance. 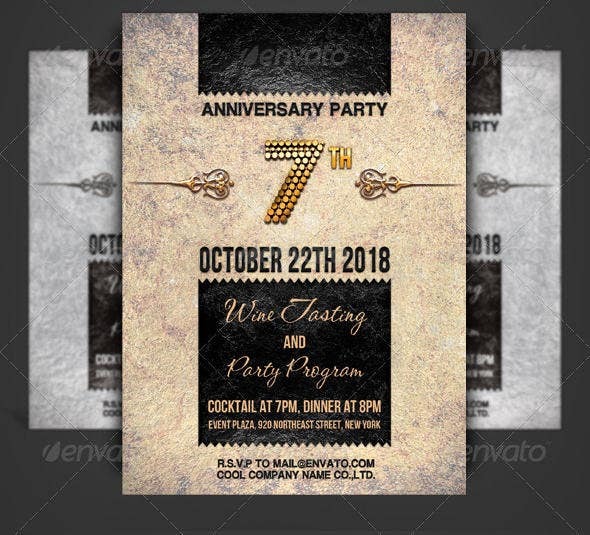 However, a woman’s 18th birthday and a man’s 21st are also given highlights because they symbolize the individual’s maturity as s/he enters adulthood. 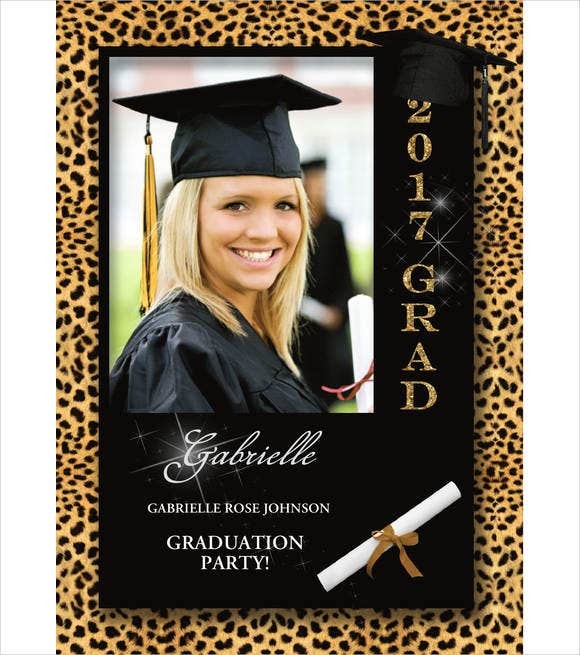 Graduation Announcement Invitation Cards are the cards that are being sent out by the family of the graduate to invite people to come over to a party because a member of their family is about to graduate. 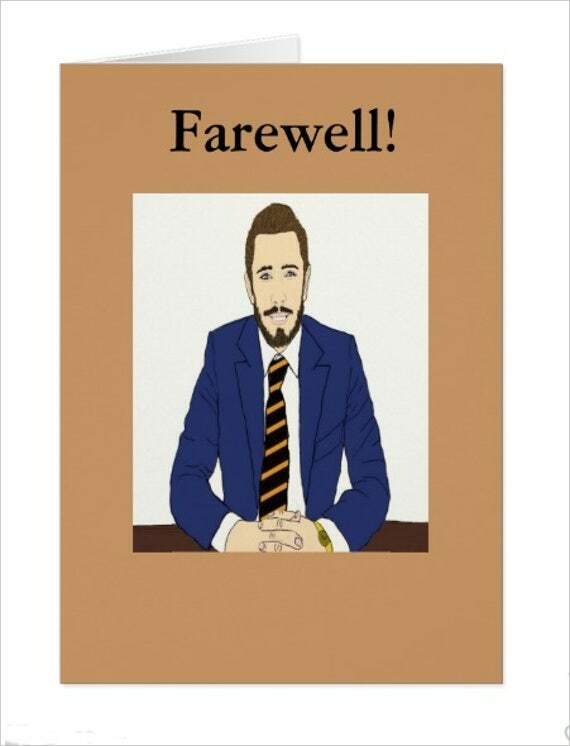 It is the first announcement document that is being released prior to the graduation to assure that people will be aware of the educational milestone that a person has achieved. 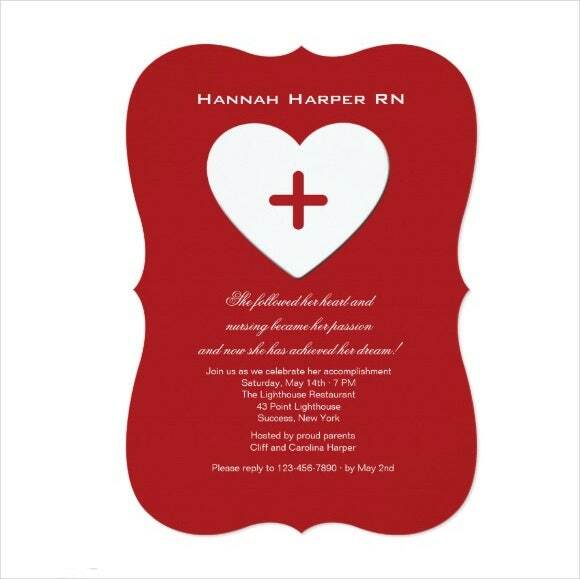 Graduation Ceremony Invitation Cards are given out to the possible attendees of the graduation. 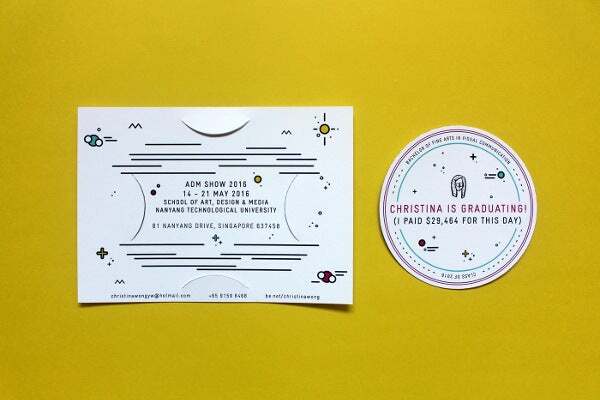 It can be coming from the academic institution that will host the graduation ceremonies or it can be created by the graduate to ask for the presence of people on his or her graduation. 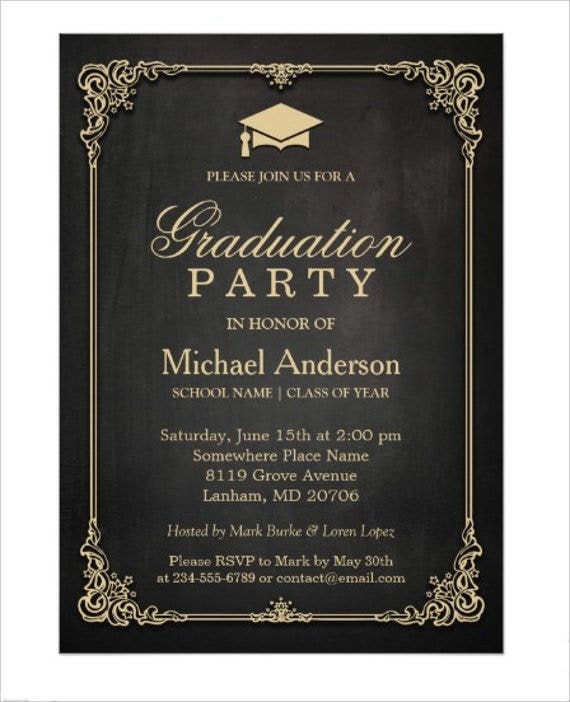 School Graduation Luncheon Invitation Cards are normally given either to the graduates only or the graduates and any of their family members. 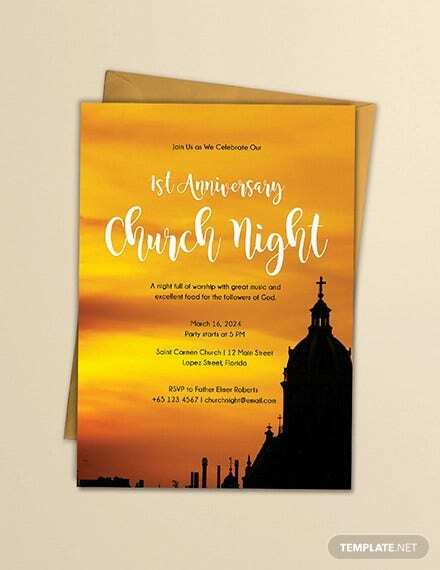 It allows the graduates to get together before graduation or a few days after the graduation to celebrate as a batch before they face another chapter of their lives. 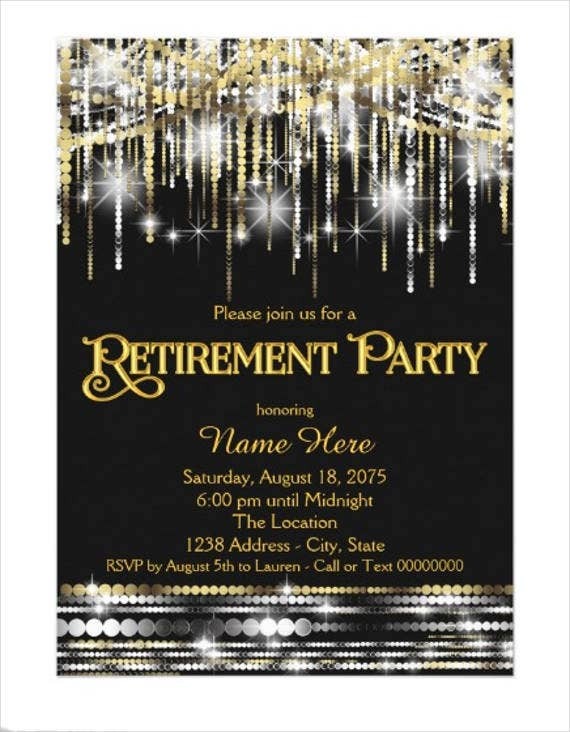 College Graduation Party Invitation Cards are commonly given to the graduates so they can have the information about a celebratory night of fun and a program that is more casual compared to the graduation rites. 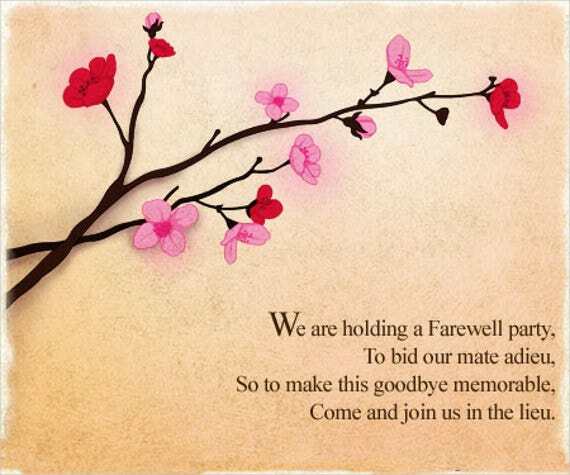 It allows them to loosen up and bid their final goodbyes to the academic institution where they are currently studying and to their batch mates who will have different roads to follow after their academic success attainment. 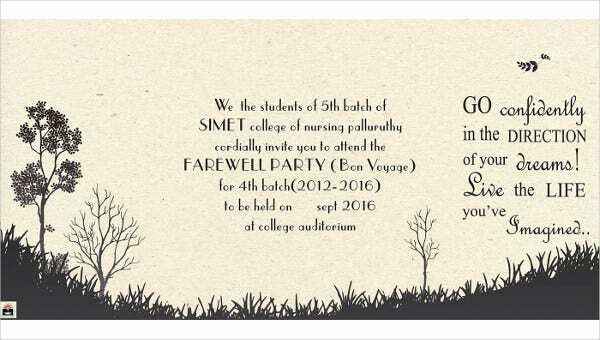 A College Farewell Invitation Card is given by the graduates to their cograduates to congratulate them while inviting them to a small farewell party as well. 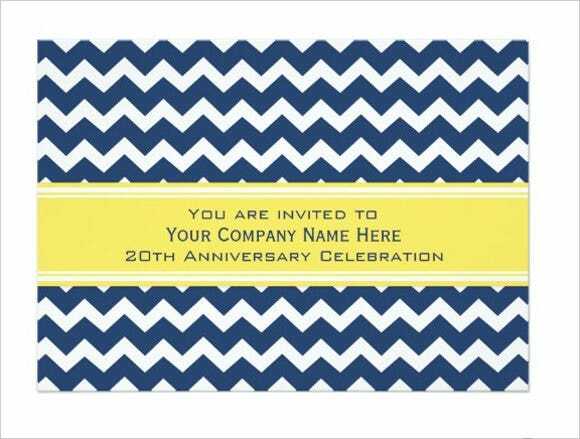 It is very common to have an exchange of this kind of invitation card to a group of friends or members of school organizations. 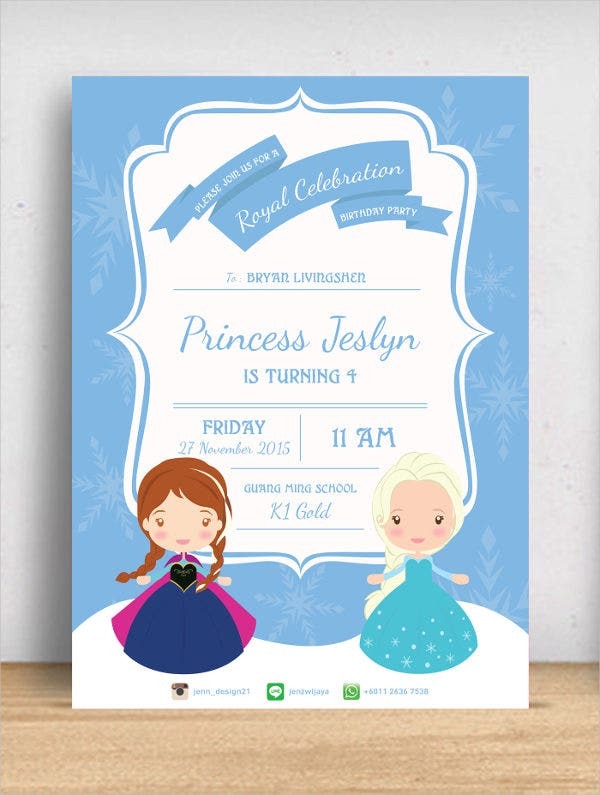 Sometimes, it can also be given by the family of the graduate or the school that catered the educational needs of their students who have already graduated. 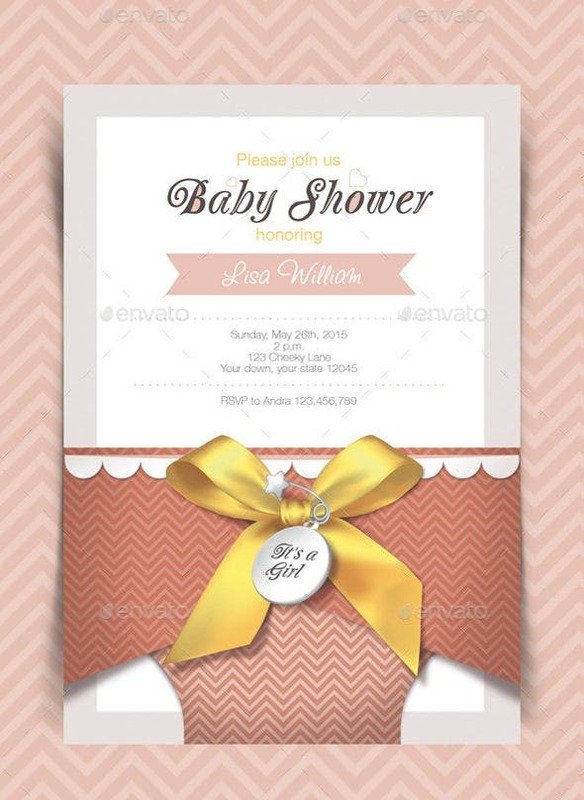 A naming ceremony invitation card is used to invite colleagues of the parents of the baby during the naming of the child. 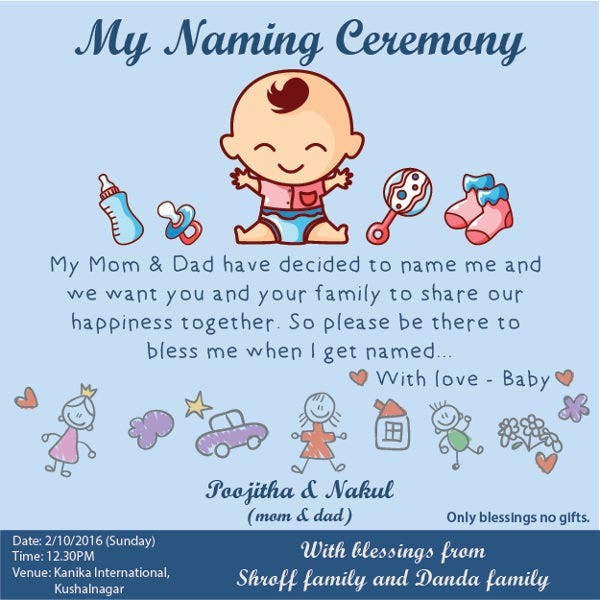 It can be just the godfathers and godmothers of the baby that may be invited as it is considered to be a personal event and a private celebration that is mainly focused on giving the name of the child which is a big part of his or her identity as a person. 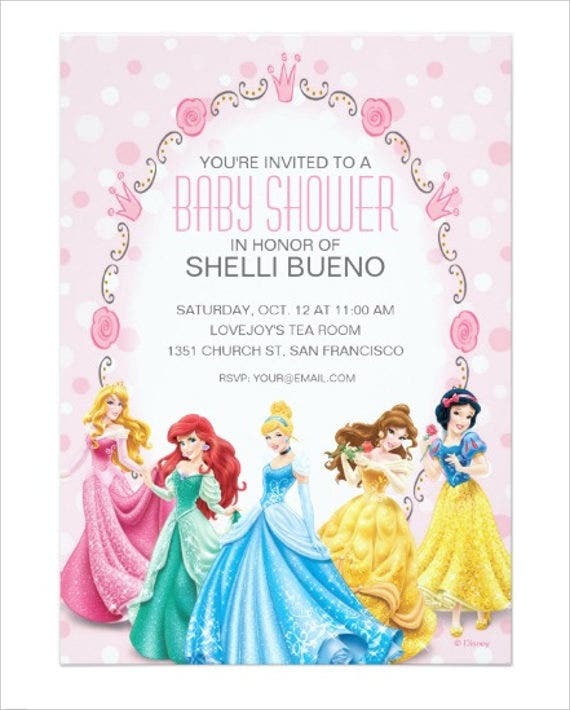 Baby Shower Invitation Cards are used to celebrate the coming of the new member of the family after a woman’s delivery. 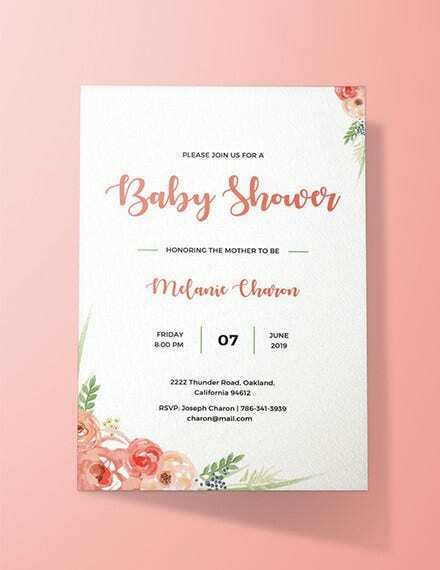 It is done before the baby has even arrived so that the mother of the child will feel the excitement and happiness of her friends and family members about the momentous event that is about to happen to her as a woman. 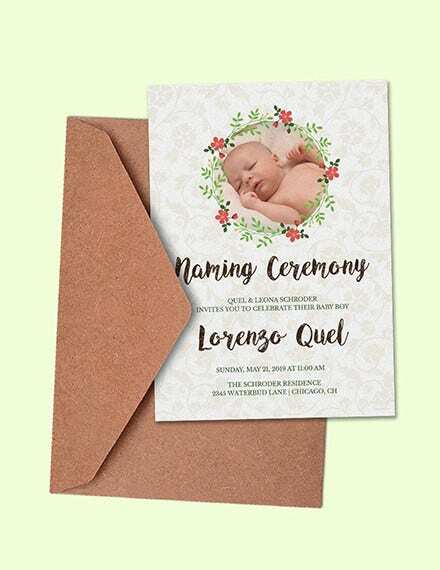 A baby blessing ceremony invitation card may be given for a spiritual gathering or it can also be for the celebration of a family’s belief. 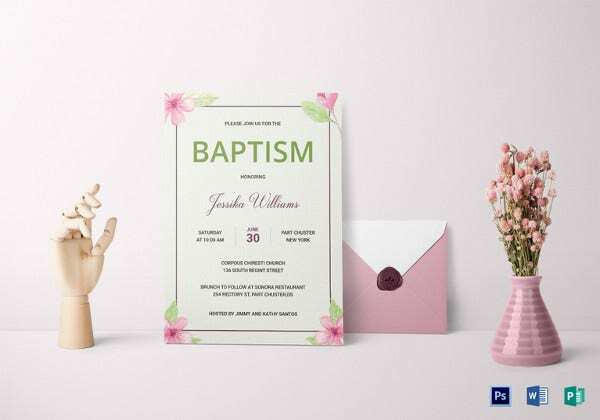 There are different programs that are done during a baby blessing depending on the location of the family, the religion that the family have, and the culture of the place where the family is currently living. 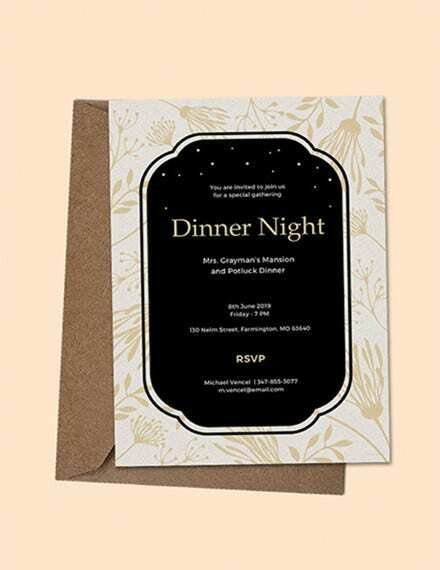 Wedding Rehearsal Dinner Invitation Cards are given to the wedding attendees who will have special roles in the wedding ceremony. 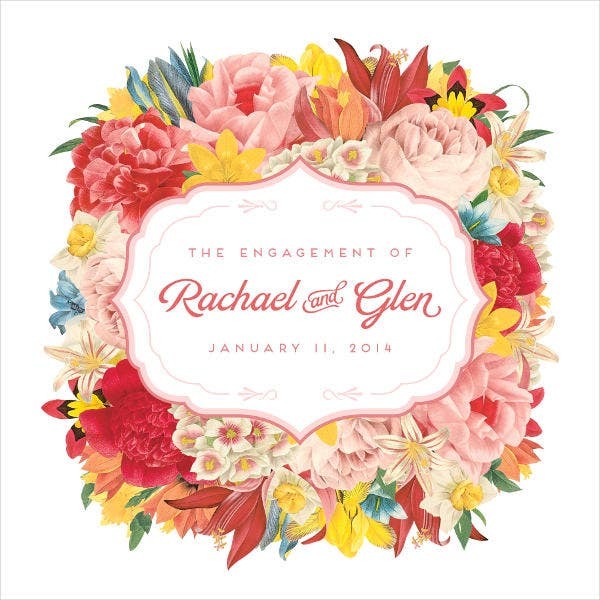 The wedding dinner is a culmination of the rehearsal and practices that are needed to be done so that they will be aware of the things that they need to do during the actual wedding ceremony. 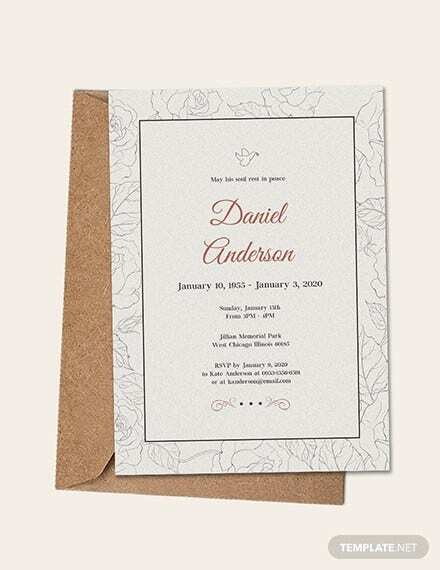 Wedding Ceremony Invitation Cards are used to provide information to the invited guests regarding the program of the wedding ceremony. 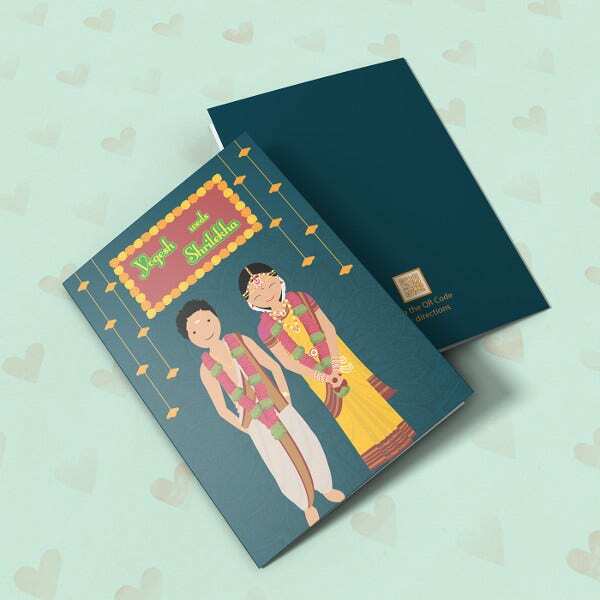 Wedding ceremonies may either be held in a church or any other location approved by the religion of the couple to be wedded. 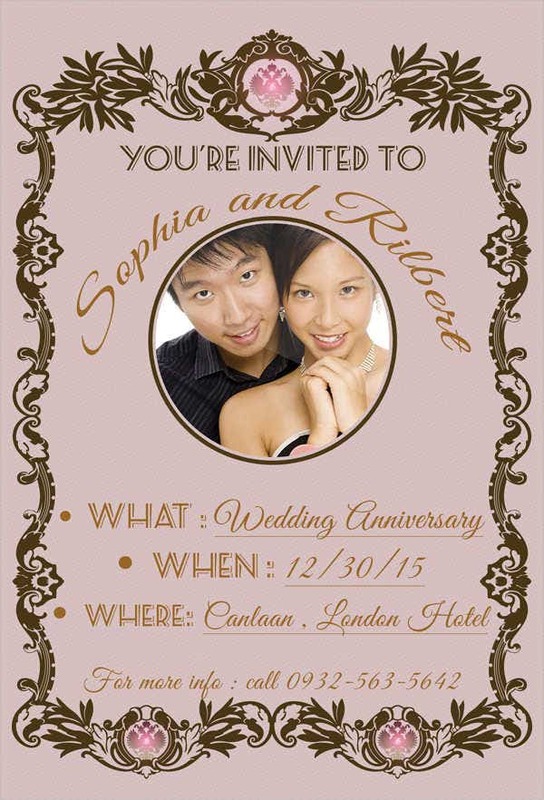 These locations can affect the content and design of the wedding ceremony invitation card. 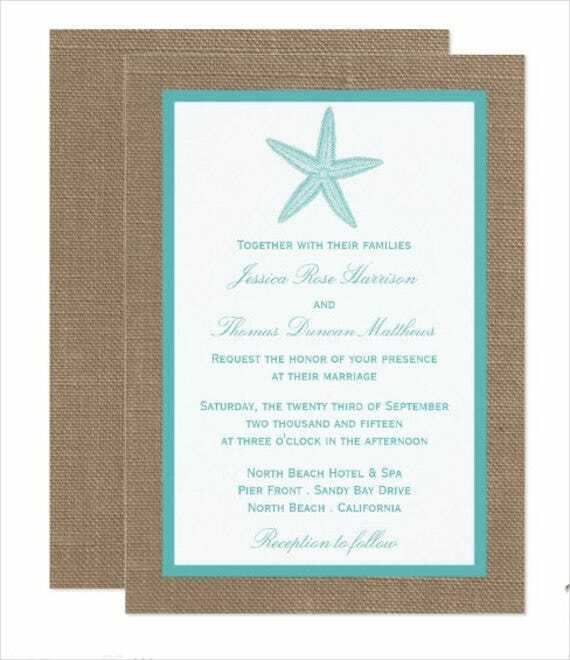 Wedding Reception Invitation Cards are given to the guests of the wedding to inform them about the activities and other items that will occur during the reception. 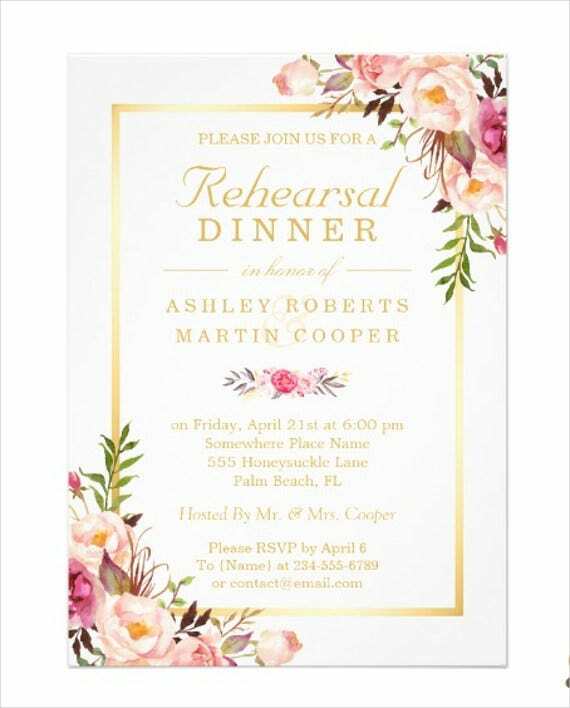 It also includes details about the reception program, the food service, and the time blocks for entertainment during the wedding reception. 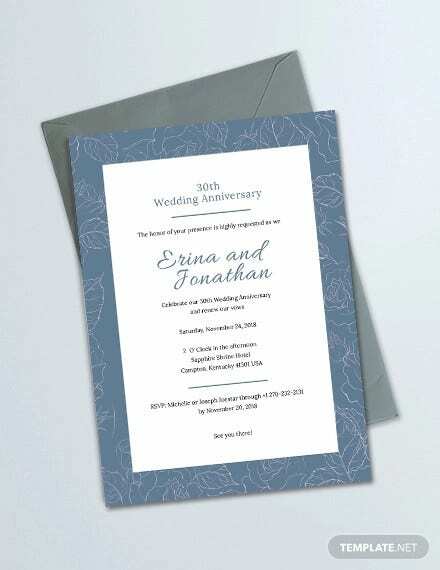 Wedding Anniversary Invitation Cards serve as reminders for people to attend a gathering that celebrates the relationship milestone that a couple has achieved. 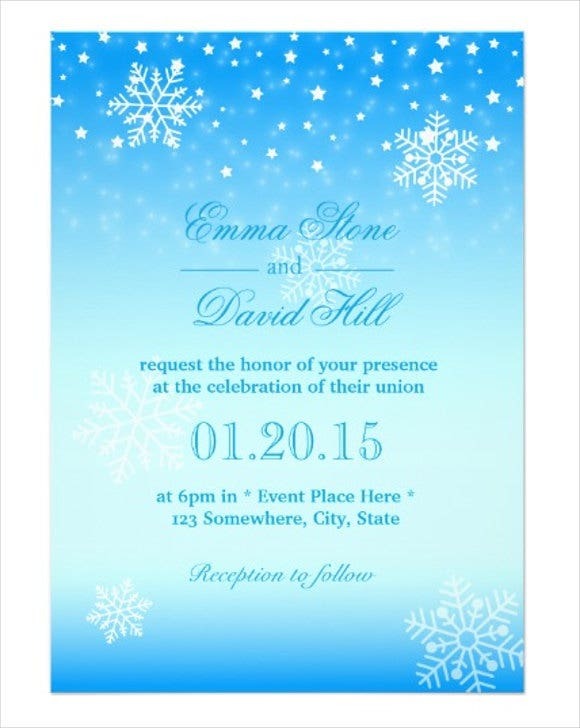 This can be done yearly or just during the special wedding milestones that a wedded couple will experience. 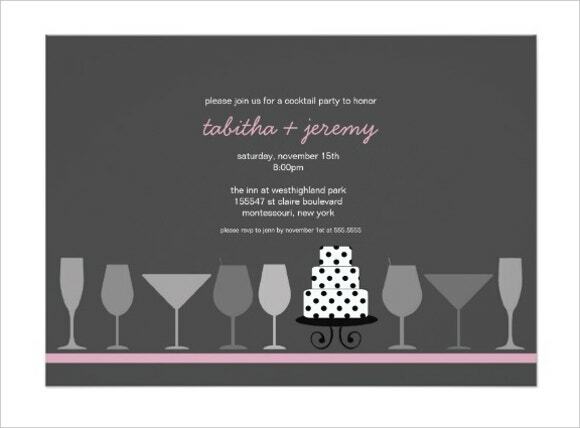 Engagement Party Invitation Cards are used to celebrate the engagement of a couple if it came out as a surprise and only the couple or only a few of their friends were able to witness the engagement. 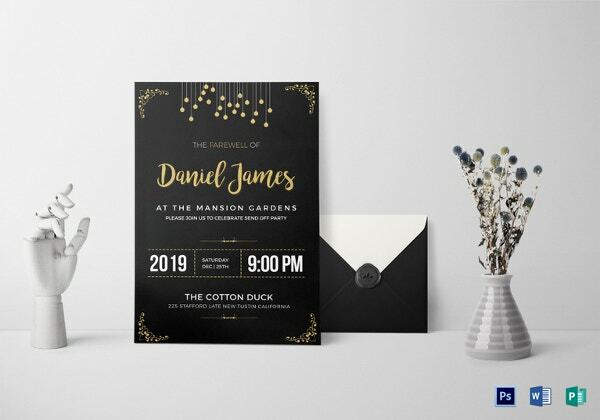 This usually happens if the engagement is planned by the groom alone or he wants to purposely ask his girlfriend to marry her at the most unexpected time. 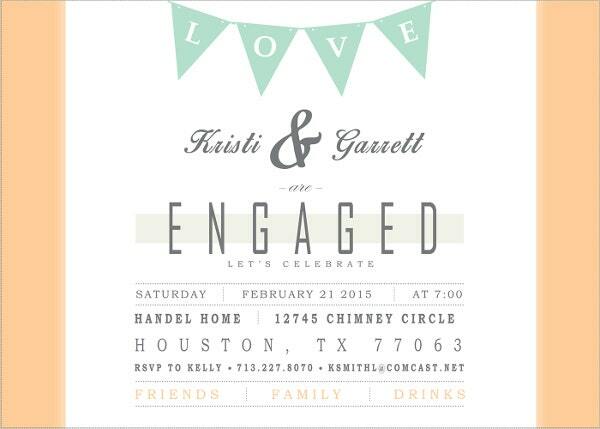 Engagement parties usually consist of attendees from both of the couple’s sides. 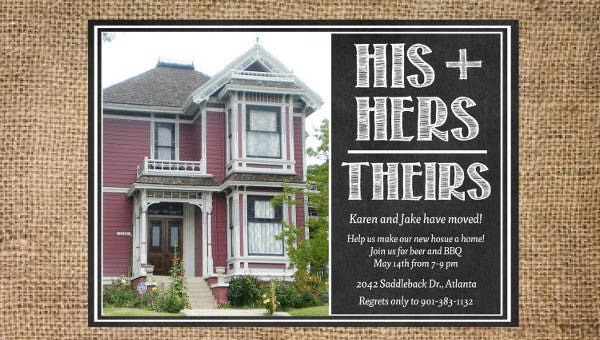 However, there are couples who select to host parties at different times to cater their friends separately. 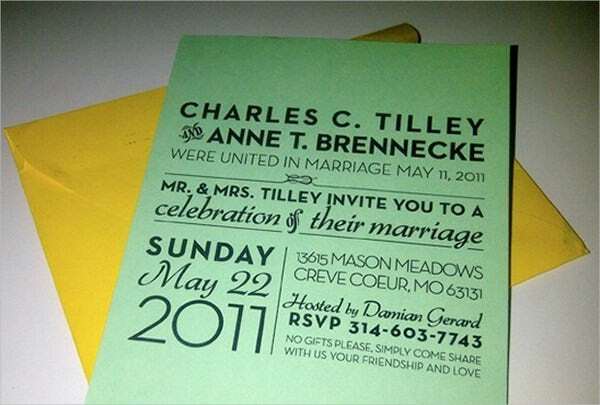 This will work best if the characteristics and means of enjoyment of the couple’s friends are way too different from each other. 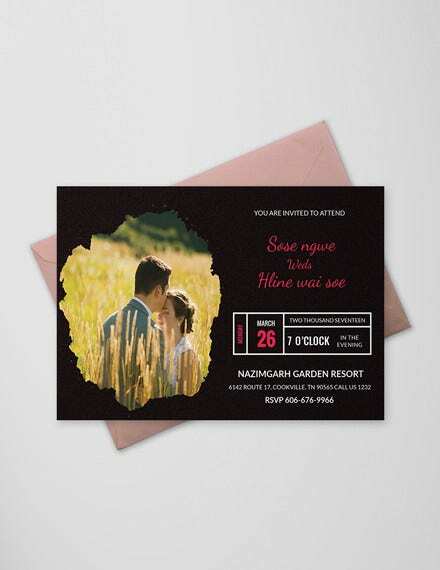 Engagement ceremony invitation cards differs from the first invitation as they are used for a more planned engagement celebration. 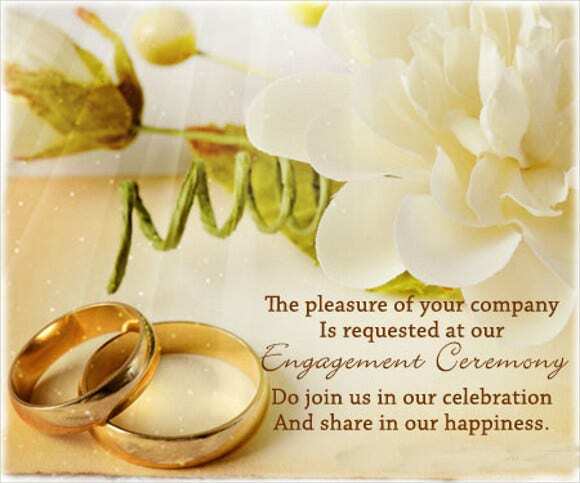 Sometimes, engagement ceremonies even need an event organizer to assure that the engagement ceremony will smoothly flow and that the plans for the event will be properly implemented. 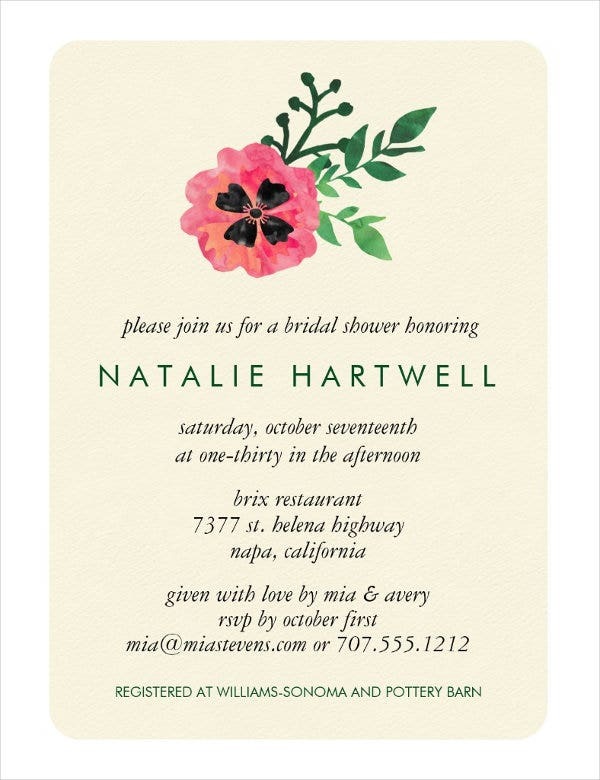 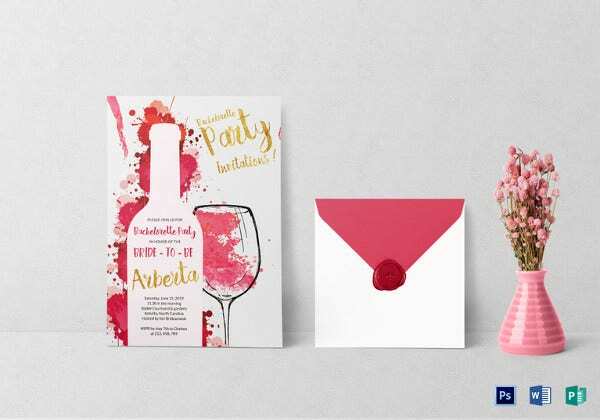 A bridal shower invitation card is given out by the soon-to-be bride to her friends so that they can enjoy together for the last within a scenario that the soon-to-be-bride is still single. 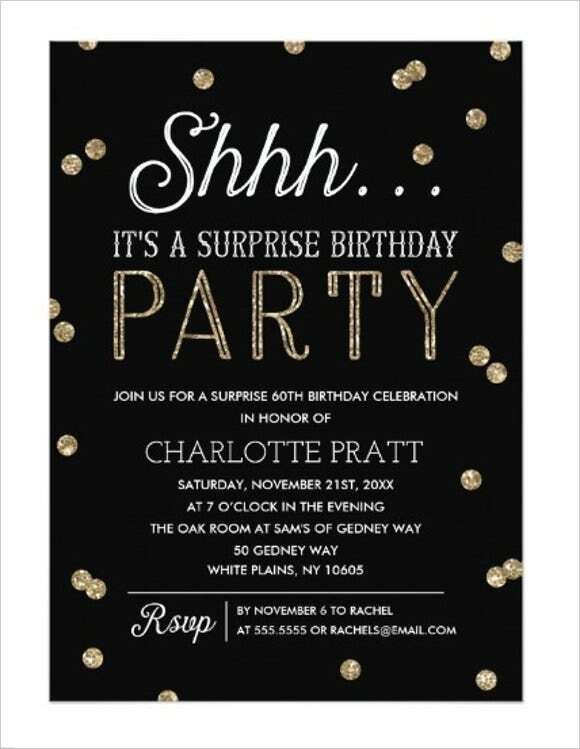 More so, the organizer of the party or the friends of the bride can give it out to other people if the bridal shower is a surprise for the bride to be. 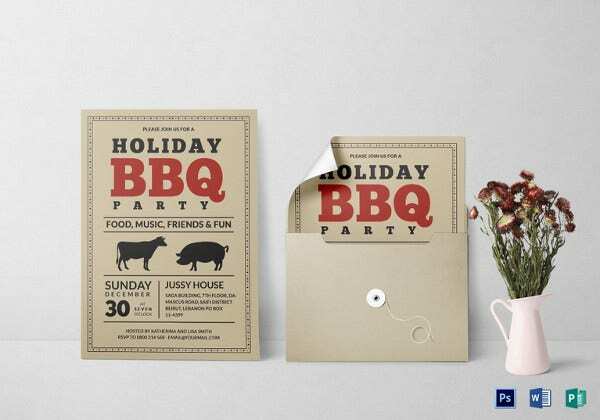 There are a lot of themes that can be applied in an Invitation Card Design. 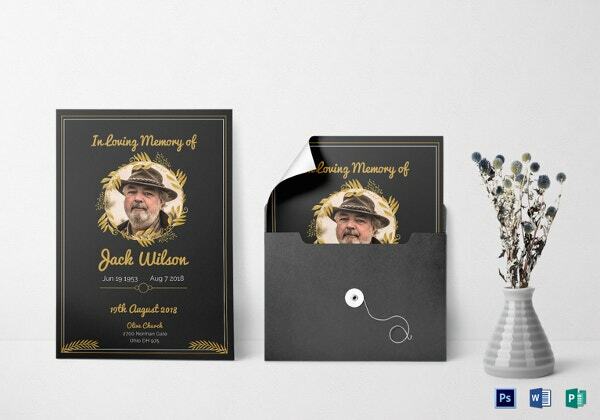 These designs allow the invitation card to be more unique and appropriate to be used for an event or occasion. 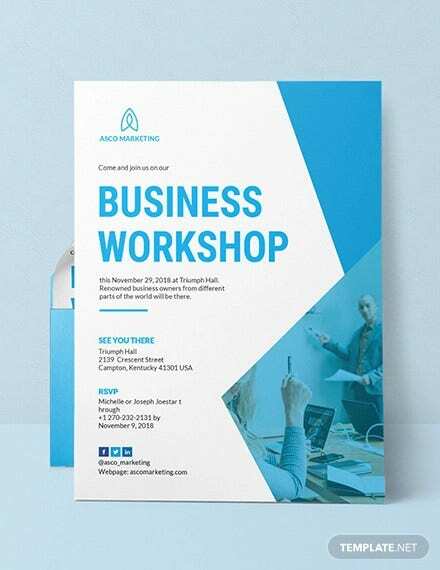 No matter what card design will be used in the invitation card that you will give to the guests and attendees of the event that you are currently working and planning on, make sure that all the needed information will not be left behind and that all of them are accurate, updated, and easy to understand. 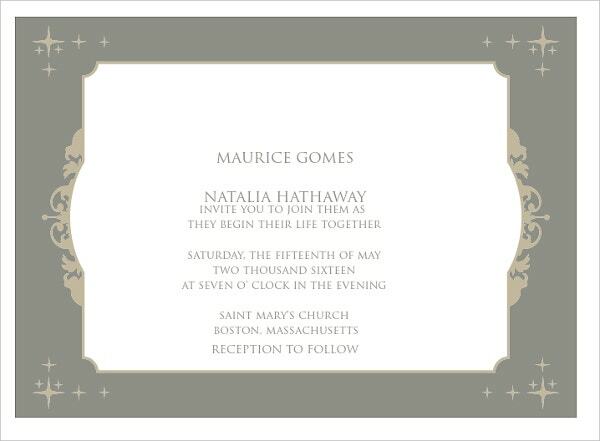 Assure that you are aware of the nature of the purpose why the invitation card has been made. 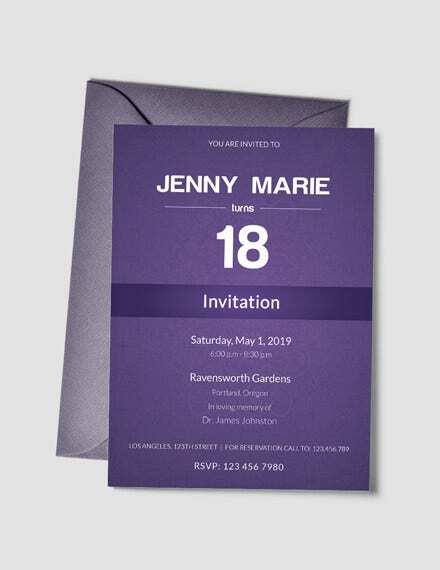 Gather all the needed details that should be present in the invitation card so that you will be guided by proper and accurate information. 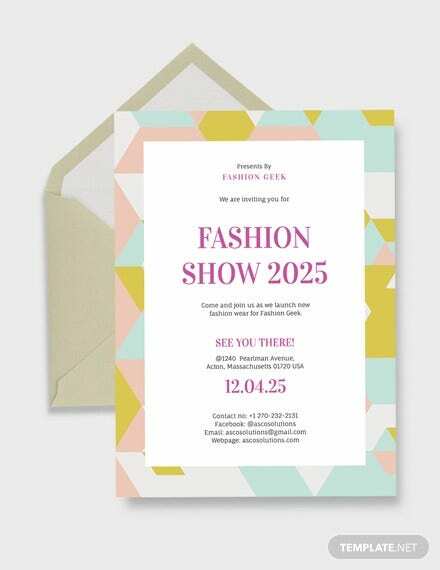 Base the design of the invitation card on the theme of the event. 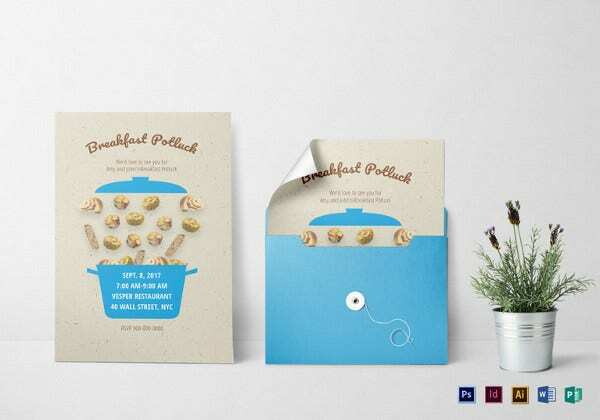 Use design materials that are related and appropriate to be used to the event where the invitation card is created for. 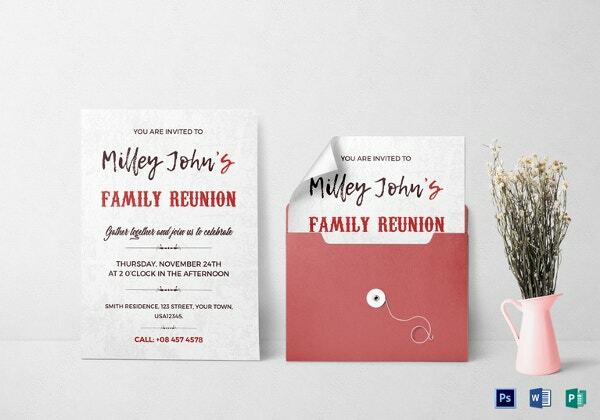 Use font sizes and styles that are readable and striking. 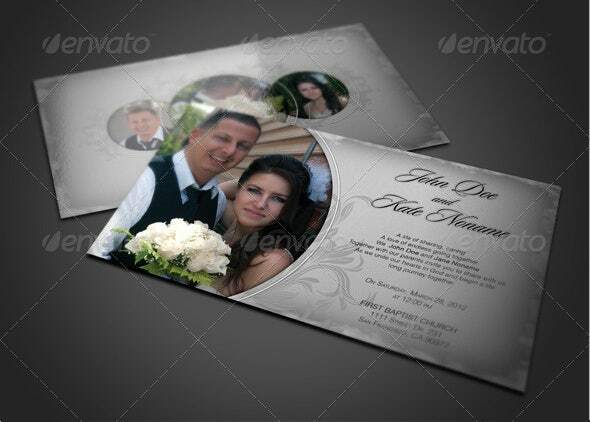 Properly place them in the invitation card where they will visually look their best. 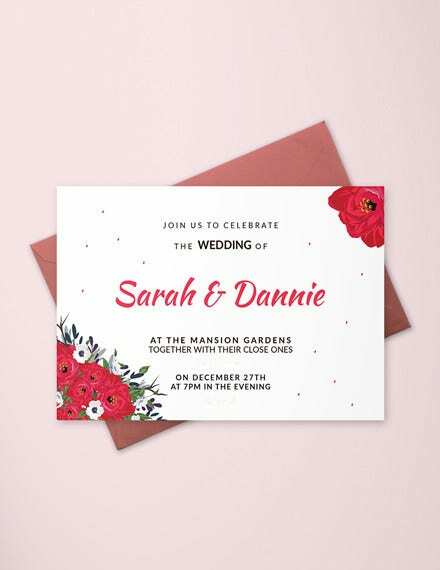 With the variations of invitation cards and their usage, you should be able to identify the card designs and structures that are needed to be used for particular situations and instances. 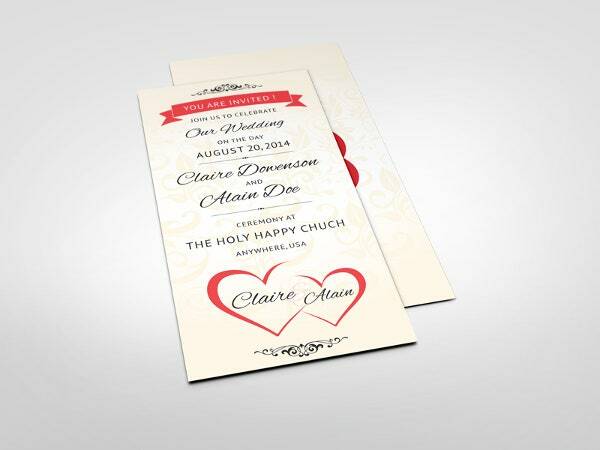 Being able to do so will allow you to create a document that will positively reflect the event that will be held.